Brevard Soffit & Siding, Inc. Comment: Replace existing gutters and downspouts. Roof replacement in about a week. Need gutters removed prior. Comment: I need gutters for 276 feet of gutters and would like a quote. Comment: My home has 126 feet of gutters, 4 downspouts, 10 end caps, 3 outside corners, 1 inside corner, and vinyl gutter covers that need to be replaced. Comment: Would like to have guards installed over current gutters or have new gutters with gutter guards. Comment: Live in a two bedroom villa duplex in Viera East. The HOA must approve any outside construction. I own my home. Need gutters on my roof. Rockledge Gutter Cleaning & Repair Services are rated 4.79 out of 5 based on 294 reviews of 12 pros. 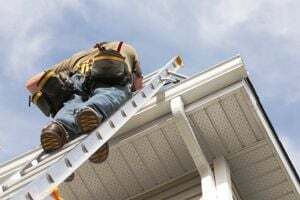 Not Looking for Gutters Contractors in Rockledge, FL?